Surgeon sits down to review the Martial Law, one of the new Nomad Cigar Company releases at the IPCPR 2016 in Las Vegas. Fred Rewey will take on all your questions and offer up some nice giveaways! Logan and I will argue about something. You will learn something and be entertained. What else is there? Surgeon and Rob sit down to pair a Nomad cigar with special guest Fred Rewey. They'll be pairing one bourbon, one scotch, and one beer. Surgeon sits down to review the most recent release from Nomad Cigars, the Esteli Lot 8613. This Saturday on Virtual Event Herf we will welcome fellow Sconie Fred Rewey from Nomad cigars. Rob chats with Fred about the new Nomad Therapy line. Fred makes a few inappropriate jokes and Rob makes the worst segue in his career. Surgeon and Rob sit down with some Nomad S-307s to pair with cocktails. Surgeon pairs with a Knob Creek Bourbon Orange Tumbler, Knob Creek & Ginger Beer and a Flor de Cana Dirty Coke Float. Rob pairs with a Zacapa Estilo Viejo, Old Cuban, and a Paper Plane. Fred Rewey of Nomad Cigars pays a surprise visit to the show and sticks around for an hour to talk shop and answer questions. 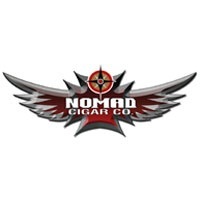 Fred, owner of Nomad Cigars, talks about his newest cigar which is releasing 3/1. Also, we talk about a cigar project he has in the works. During this episode we talk about Fred's newest cigar release the limited edition Nomad Esteli Lot 1386.